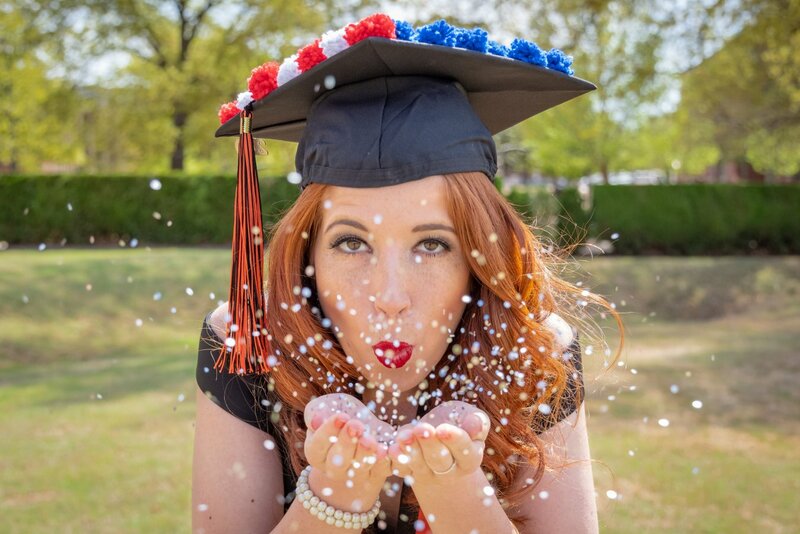 Here's another from my graduation shoot the other day at Oklahoma State University. The D FA 28-105mm f3.5-56 is a great lens. Far beyond what kit lenses used to be. The eyes in this image are tack sharp. It took a few attempts to get this shot, and I ended up being covered in sequins, but it was so worth it! Such a fun shoot. I wrote about this shoot over on my blog The Pentax Pioneer. Last edited by brettday; 6 Days Ago at 02:41 PM. Another very good and creative photograph in your graduation series. Well done and really shows the fun this young lady is having after her graduation. Bokeh is excellent and nicely isolates the subject. Very nice.... a photograph that doesn't depend on anything but capturing the joy of the moment.